Carlton will take on the winless Swans at home this Saturday. Carlton defender Nic Newman is looking forward to facing his old side. Nic Newman thoroughly enjoyed being back in footy's heartland on Thursday. 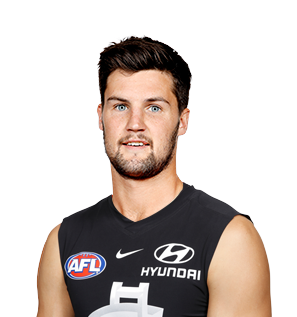 A smooth-moving, high-efficiency defender, Newman was Carlton’s last acquisition of the 2018 trade period, sealing his move to the Blues with 10 minutes remaining. 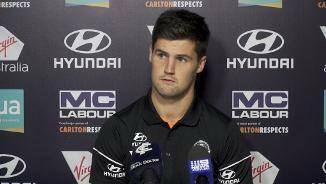 The former Swan made his mark as a mature-age recruit, slotting into Sydney’s miserly defence to play 31 games over the course of two seasons. With an accurate left foot and the ability to rotate off the wing, Newman — who cost the Blues a future fourth-round draft pick — could prove to be an astute pick-up for his new club.